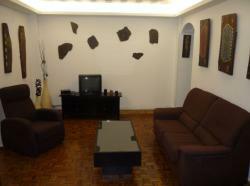 It is situated in the Plaza del Pilar, right in the historic part of the city. 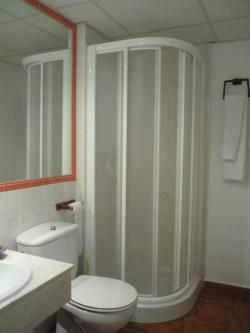 It offers the maximum comfort, exceptional views at an affordable price. It provides a family treatment to make your stay as comfortable as possible. 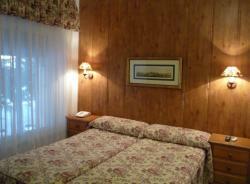 The accommodation was recently renovated. 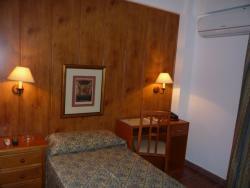 Rooms are completely equipped with TV, Wi-Fi access, telephone, air conditioning, heating and a full bathroom. 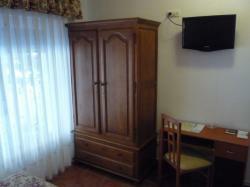 The accommodation also has a lift and we accept both cash and credit card payments. We have a parking with special discounts for our guests (11€ per day until 16:00h of the following day). We also have a coffee vending machine for only 0,50€ per cup and we provide free pastries assortment every morning during the breakfast time. If you come from the Delicias station must take bus No 34. From the airport and catch a taxi. If on the other hand, come by car, is easily accessible to reach the Basilica del Pilar. Reservation may be cancelled or amended up to 24 hours prior to day of arrival of the client. Failure to cancel your booking prior to this time will result in a charge of one night's accommodation apart from the initial guarantee deposit. In order to amend a reservation, please contact directly to the hotel which details figure in the voucher. If your amendment reduces the number of nights or rooms the deposit will not be refunded and will not be discounted of the modified reservation fee.